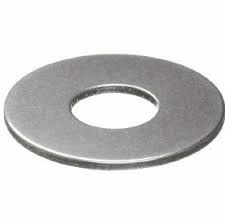 - Axial bearing washers AS are punched, through hardened, polished and suitable for use as shaft or housing locating washers. They correspond to DIN 5 405-3 and are suitable for use with axial needle roller and cage assemblies AXK. - These washers are suitable for use where the adjacent machine part is unhardened but is sufficiently rigid and geometrically accurate.